Get iBooks version (enhanced ebooks – see product description for more) of three of KiteReaders best selling Halloween titles for a bargain price of $2.99. 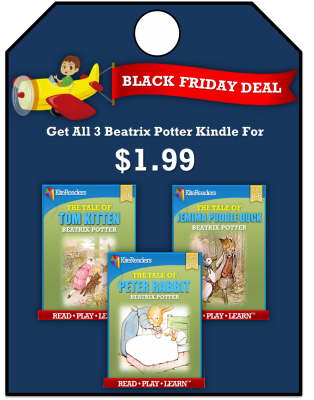 These titles can be read on iPad, iPhone, iPod touch, Macs (with new OS X Mavericks – free upgrade) with free iBooks app installed. 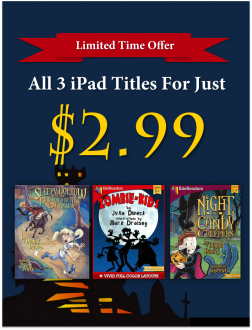 Get iBooks version (enhanced ebooks – refer to features below) of three of KiteReaders best selling Halloween titles for a bargain price of $2.99. 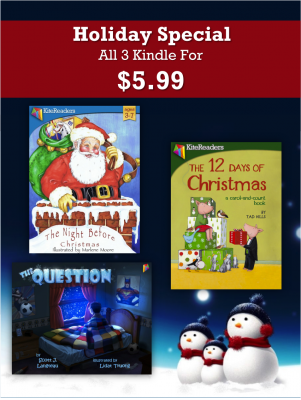 These titles can be read on iPad, iPhone, iPod touch, Macs (with new OS X Mavericks – free upgrade) with free iBooks app installed. Fixed layout presentation that mirrors the visual reading experience found in a printed picture book. Read Aloud includes word highlighting in sync with the voice narration. This serves as spelling and pronunciation aids for little kids. Enhanced with animation and sound effects.